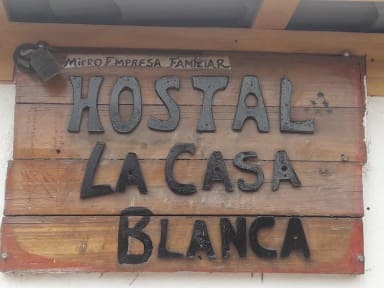 Hostal la Casa Blanca, San Pedro de Atacama, Chile : Rezerwuj teraz! The hostel White House is a rustic hostel, made of adobe and beautiful walls, has a corridor of trees typical of the area as the Chañar and carob.The rooms are adobe, tempered and good lighting. The hostel the white house offers the services of shared kitchen 24 hours, free wifi 24 hours, shower with hot water, free parking, free towels. 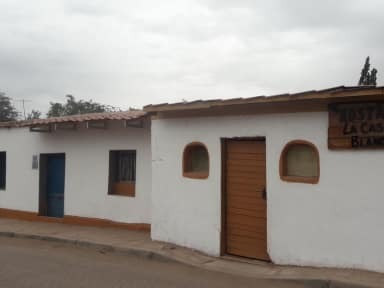 We are located in one of the best spots of San Pedro de Atacama, near to some of the finest and most renowned landmarks and attractions of the city such as Mirador Pukara Quitor, Mars Valley or Death Valley, R. P. Gustavo Le Paige Archaeological Museum and Meteorite Museum, amongst other fantastic spots that you can discover and experience in our city. We have several types of accommodation options, all of them private and equipped to ensure and guarantee a great stay withing our facilities to our guests and travellers. In addition, we have several common areas where the guests and travellers can get together and exchange past experiences and future plans.